Despite its small size, Malta, a treasure trove in the Mediterranean, is rapidly becoming a sought-after retirement destination. From tourists eager to taste this peaceful culture, all the way to retirees looking for their dream home, Malta is the must-see spot. Considering its warm and sunny climate in summer and mild, yet refreshing winters, it’s no wonder people are flocking to this paradise. The streets of Malta are peppered with history, and every building is an architectural landmark carrying a piece of its rich, intricate heritage. When you consider Malta’s vivid coastal life and serene beauty, it can be a difficult to choose your perfect place if you are looking to make a move to this little island of bliss. To help you, here are some places to consider. If you come from an urban hotspot such as New York or San Francisco, and you’re used to the hustle of these densely-populated cities, brace yourself for an entirely different atmosphere in this humble, but prominent city. Valletta was founded in the 16th century along the northern shore of Malta, and ever since its inception, the city has been home to exquisite baroque buildings. That, paired with its cultural legacy has earned the entire city protection under UNESCO since 1980. As the smallest capital in the EU, Valletta packs quite a cultural punch for such a tiny territory. It’s also exceptionally alluring for tourists, and the superb weather keeps the city busy all year round. 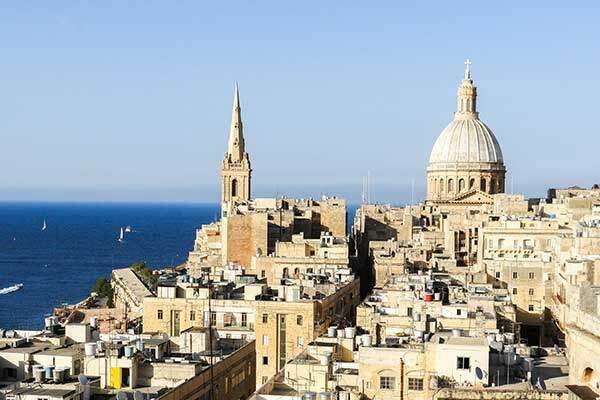 However, much like other parts of the island, Valletta has several “satellite” villages which are well-connected to the capital, and are much more comfortable for permanent residence even though they may not carry the same prestige as the capital. If you like the hustle and bustle of city, then Valletta is the place for you in Malta. 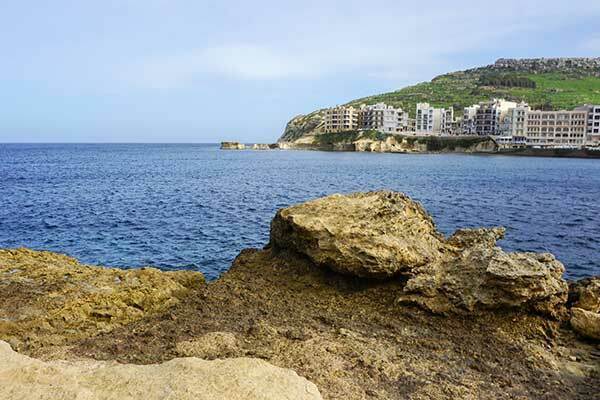 Although its inland position makes it less attractive to potential home-owners who are in love with the allure of the Mediterranean, keep in mind that Malta is a small island, and you can easily reach Valletta and the coast from the center in approximately 15 minutes by car. Its larger towns are also considered tourist hubs, although to a lesser extent than the capital city, and they are brimming with historic landmarks, calm neighborhoods, and a thriving infrastructure. In fact, this district of the island is the most populated, but due to fewer touristy crowds throughout the year and plenty of residential areas. 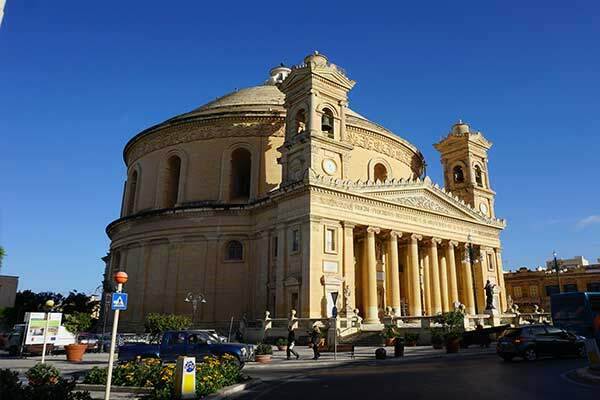 Some of the most notable and fast-developing towns in this area include Birkirkara, which is modern but still preserves its cultural treasures and is famous for its stunning St Helen Basilica, and Attard, Naxxar, and Mosta. Living in this area is more affordable than living on the coast, but you still have access to the rest of the island. The northern district of the Harbor, is a wonderful, thriving community of two cities and a multitude of surrounding villages. 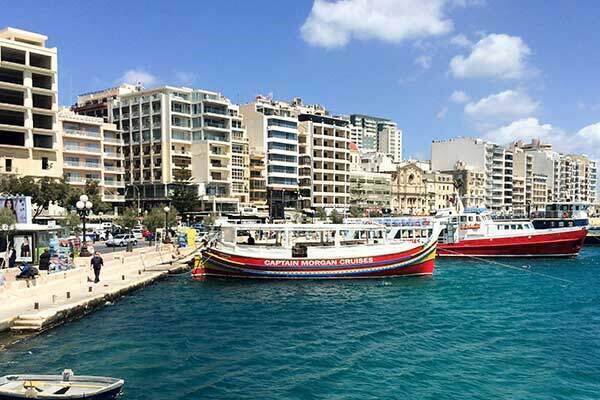 Sliema, its most famous city, is known for its growing restaurant and café scene, making it perhaps one of the most fun spots to visit, splurge on the latest fashion, and enjoy its nightlife. Its neighbor, and the second largest city, St. Julian’s, has a somewhat different vibe, and it’s considered a more peaceful location, although still bustling with tourists during high season. The town of Gzira with its majestic view of Valletta, Msida and its calm fishing scenery, and the tiny Ta’ Xbiex are just locations that are still quiet but have been drawing visitors. Although Malta is the main island of the archipelago and tends to steal the spotlight, there are other inhabited islands that you should consider. One of which is the beautiful Gozo. It offers a lot of the same benefits as its far more popular, larger sibling. Gozo is perfect for those who yearn for a slightly simpler way of life. Its breathtaking scenery, peaceful villages, and sublime underwater life make it the perfect place if you after a quiet life with the same Mediterranean spirit as the main island. Whether you take a stroll in one of Gozo’s villages where time seems to have stopped, or you spend your time admiring the shore, this island is a canvas of untamed, intact natural beauty few other places in the Mediterranean can boast. Its capital city, Victoria is as mesmerizing as the villages on top of the Gozo hills and those hiding in its meadows. If you’re looking for a city buzzing with events and visitors, or you’re searching for the perfect escape from your hectic life, Malta is truly a melting pot of diversity in every sense. Every nook and cranny is filled with history, while its people happily embrace newcomers , letting you find your retirement haven under Malta’s iridescent Mediterranean sky.